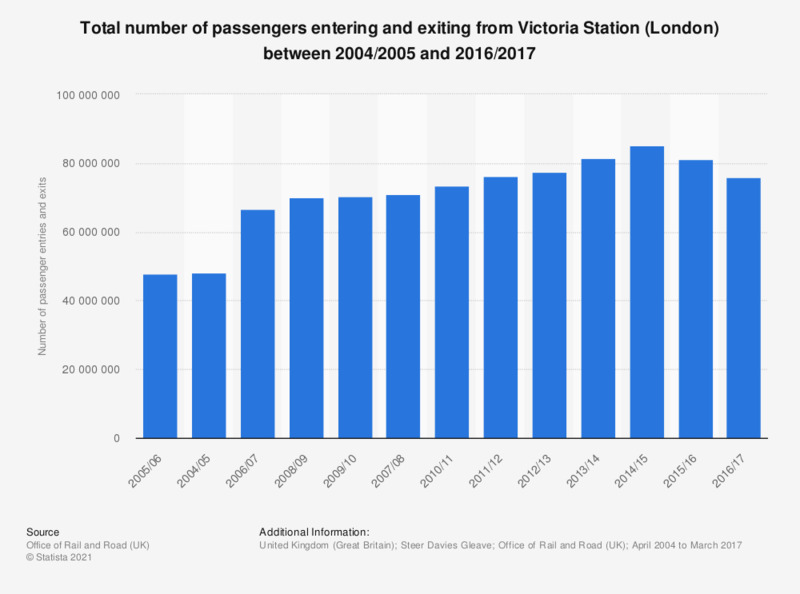 This statistic shows the number of passengers entering and exiting from Victoria Station between 2004/2005 and 2016/2017. There was a generally a steady increase in the number of passengers using this station, as the number grew from 48 million in 2004/2005 to 85.3 million in 2014/15. Since then however, the number of people using this station has declined in both of the following years.